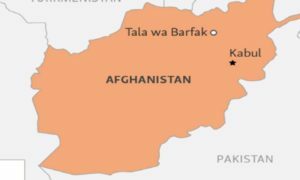 The Afghan army waged a cleanup operation and killed 20 Taliban militants in the country’s southern province of Helmand, the Afghan Defense Ministry said on Sunday. “The operation was conducted recently in Nahri Sarraj district and 22 suspected militants were also arrested,” the ministry said in a statement. Six hideouts and bunkers, four vehicles and 27 motorcycles were also destroyed as a result of the raid in the province, 555 km south of Kabul, according to the statement. Helmand, notorious for poppy growing, is also a known Taliban stronghold.